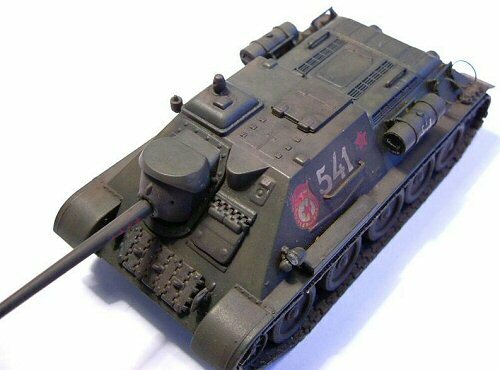 The SU-85 from Cooperativa (originally Eastern Express) is a straight forward project. 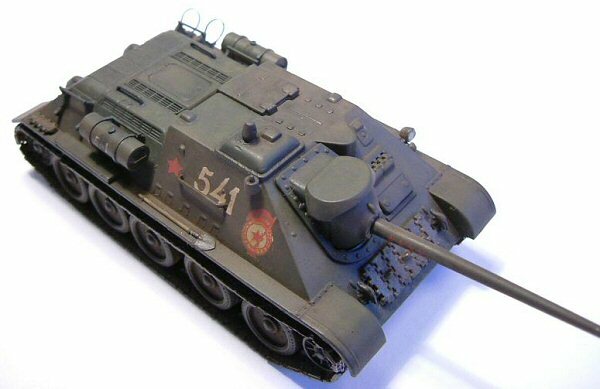 The kit is simple but well done, being similar to the T-34/85 from Eastern Express that you can see elsewhere here, it is simpler to put together. During the construction I found few problems. 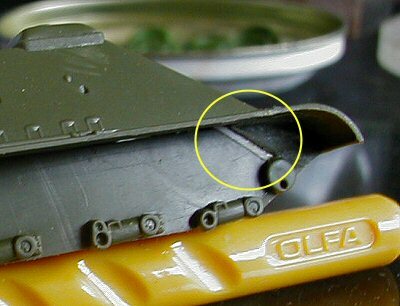 The biggest was the gap between upper a lower hull parts. It was solved with some pieces of styrene. The attaching points for the wheels are only shallow holes. So some care must be taken here. 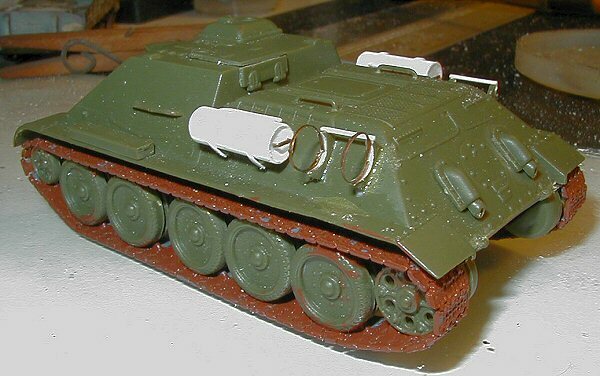 I substituted the kit fuel tanks and their mounts with scratchbuilt ones. 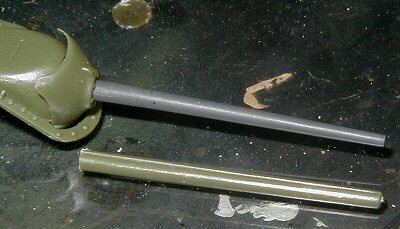 The gun was far over-scale, so I used one from PST's JS-2 kit, turning it to shape. The tracks were a good surprise. Though similar to the Eastern Express ones, they were thinner and went together easier. The final result was fine. The braces are from the kit with little sanding. 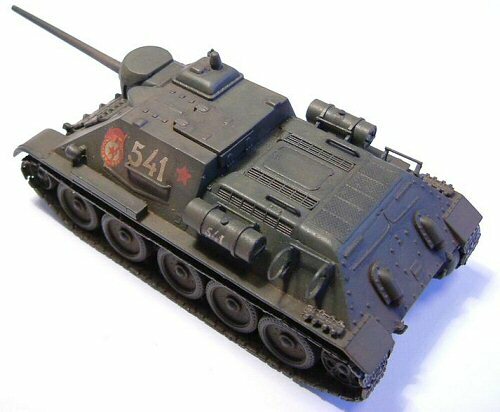 The kit was finished with Tamiya acrylic paints treated with oil and pastel chalk. The decals came from the kit and were very fine and easy to use. Conclusion: Easy to do with nice results. Recommended for every one.